We’ve spent so much time in the wizarding world as fans of the Harry Potter franchise, and yet we’ve only seen a fraction of what’s truly out there. Fantastic Beasts and Where to Find Them will take the action across the pond to the United States to follow new series protagonist Newt Scamander as he navigates the American wizarding world. Little has been revealed about the North American side of this part of the universe, but a savvy internet user seems to believe that he has uncovered the names of the houses at the American Hogwarts. Where do you belong, Horned Serpent, Wampus, Thunderbird, or Pukwudgie? 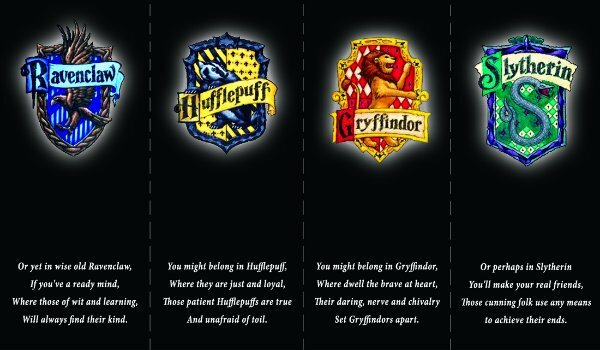 So it seems that Horned Serpent, Wampus, Thunderbird, and Pukwudgie could be the North American equivalents to Gryffindor, Slytherin, Hufflepuff and Ravenclaw. The potential revelation has sent a shockwave through the rabid Harry Potter fan base, with fans of the series trying desperately to figure out how students are sorted and what might be the specific criteria for each house. The Hogwarts houses sorted students through basic personality traits like bravery, cleverness, intellect and fairness, though we are uncertain if a similar system will actually take place here. The fact that these are so similar to the Hogwarts houses actually makes us a little bit suspicious of this reported information. Looking at the Hogwarts house mascots -- lion, serpent, eagle and badger -- the potential North American counterparts seem to match at least three of the four in their own way. Gryffindor has the lion (a wampus is a cat-like creature), Slytherin has its own serpent, Ravenclaw has the Eagle (Thunderbird checks off the bird mascot) and that just leaves the Pukwudgie, which is apparently a human-shaped being that's small with a big nose and ears. So that one's more like a troll than it is Hufflepuff's badger. On one hand, it could make sense if these turned out to be the names of the houses at Ilvermorny School of Witchcraft and Wizardry, because they're so similar to the Hogwarts houses we know and love. On the other hand, that same reason makes it seem like it could be bogus. These supposed Ilvermorny houses read so similar to the existing Hogwarts houses that they almost feel like fake fanfiction creations rather than genuine houses that will feature in the upcoming spinoff movie.